Seattle may not be a magnet for entertainers like New York or Hollywood, but with its high quality of life, strong arts culture and uber-educated populace, Seattle generates more talent per capita than anywhere else. Perhaps all the rainy weather helps drive creativity, too. The Emerald City birthed the grunge scene, as well as many musicians from other genres, from hard rock to jazz. Let’s count down the biggest names in arts and entertainment (sorry, Bill Gates) to call Seattle home. People like Ray Charles who spent on a brief—but formative—period here are disqualified. These people all came from the Seattle area or spent a large portion of their lives here. You probably won't recognize Terry Brooks in line for coffee, but he’s a rock star of the fantasy publishing world. With 22 New York Times bestsellers and several robust fantasy series to his name, including The Sword of Shannara, he is one of the most successful living writers. Brooks lives in West Seattle, routinely holds book readings in town, and has set large portions of his Genesis of Shannara series in Seattle and the Northwest. With the fantasy genre “hot” in Hollywood today, several of Brooks’ works have been optioned by major studios and may soon make their way to the silver screen. 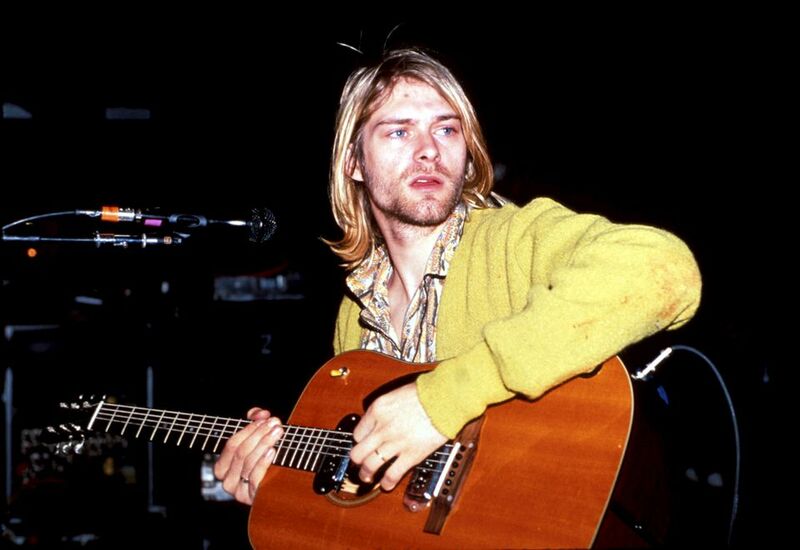 For an entire generation, Seattle and Kurt Cobain are almost synonymous. The Grunge movement Cobain led in the early 90s shot Seattle to a cultural prominence it had never enjoyed before. Cobain grew up in the logging town of Aberdeen, and was drawn into the burgeoning 80s punk-rock scene in Olympia and Seattle. Cobain formed Nirvana with fellow Aberdeener Krist Noveselic, and soon channeled his uncanny command of melody and adolescent rage into huge rock hits like “Smells Like Teen Spirit,” and radically transformed rock music in the process. After marrying fellow grunger rocker Courtney Love, Cobain moved to Seattle where he lived with his wife and child until a struggle with depression, stomach pain, and heroin led to his suicide at 27. Jimi Hendrix's three years of stardom are among the most influential in the history of pop music. He was born in Seattle and attended Garfield High School. His first gig was in the basement of a Seattle synagogue, Temple De Hirsch. Hendrix later toured with the Isley Brothers and then went to London, where he became the singer-songwriter-guitar-phenom that launched him to worldwide fame. Hendrix ushered in a heavier guitar sound into the psychedelic rock world, and also inspired R&B acts to incorporate more rock elements into their sound. After his untimely death due to alcohol and sleeping pills, Hendrix was buried in Renton, Washington. Seattle’s Experience Music Project was largely built to honor Hendrix’s legacy.